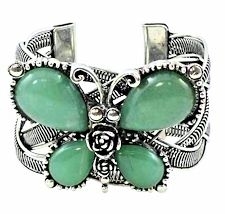 This Celtic inspired silver overlay jade butterfly cuff bracelet has a uniquely woven cuff. 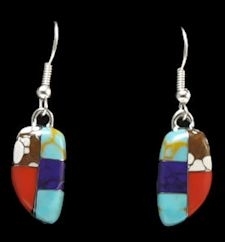 This bracelet is 2" wide (5.1 cm) at the butterfly's widest point and the band of the bracelet is 1 3/4" wide (4.4 cm). Measuring across the widest side of the bracelet, it is 2.5" (6.4 cm), and can be sized to fit most by bending the sides SLOWLY in or out. This product was added to our catalog on 08/06/2018.